After traditional weakness in June, share prices often bounce back in July – making this month a short period of strength in an otherwise weak 6-month period (May to October). Since 1970 the FTSE All-Share Index has seen an average return of 0.8% in July, with 53% of years seeing positive returns in this month. This makes July the fifth strongest month of the year for shares. As can be seen in the accompanying chart, in recent years the market has been stronger than its longer-term performance. 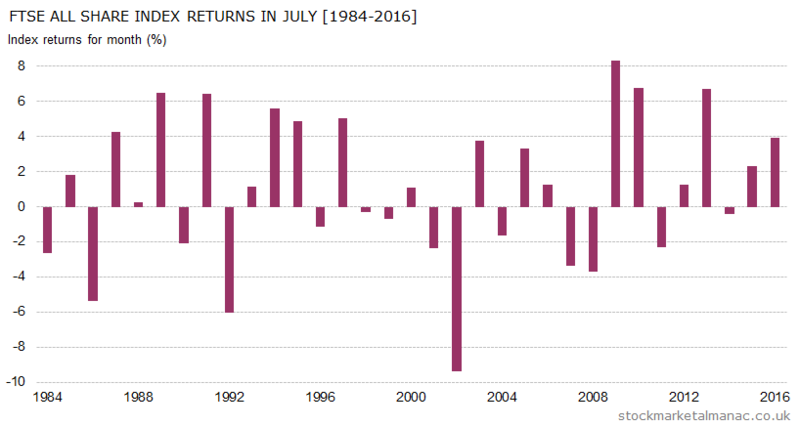 In the last eight years the market has only seen falls in July twice, and the average return in July has been 3.3%. So currently July is on a roll. In an average July the start of the month tends to be strong ­ the first week of the month is among the top ten strongest weeks in the year. After that, the market has a tendency to drift lower for a couple of weeks until finishing strongly in the final week of the month. July is one of only three months (the others being September and October) where the FTSE 100 tends to out-perform the mid-cap FTSE 250, although the out-performance in July is not significantly large (an average of 0.2 percentage points since 1986). Better is the performance of the FTSE 100 relative to the S&P 500, in sterling terms July is the second-best month for the FTSE 100 (the UK index has out-performed the US index by an average of 1.0 percentage points since 1984). On the shares front, companies that have seen strong share performance in July have been: Elementis [ELM], Croda International [CRDA], and Barclays [BARC] – all three shares have seen positive returns in July in nine of the past ten years. 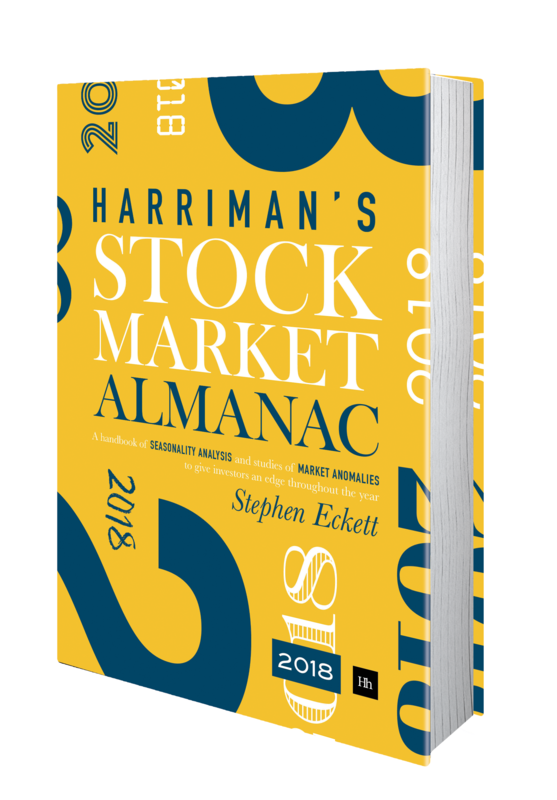 Companies that have historically performed weakly in July are: Halma [HLMA], Babcock International [BAB], and Redefine International [RDI]. July is a busy month for companies announcing their interim results: 28 FTSE 100 companies will be doing so and 47 FTSE 250 companies. On the economics front: there is the US Nonfarm payroll report on the 7th, and the two-day FOMC meeting starts on the 25th. The New York Stock Exchange will be closed on 4th July.